Anil has more than 30 years of experience in building and managing large scale IT setups. 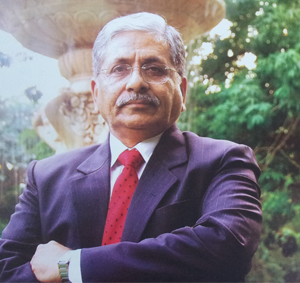 A major part of his career has been associated with Dabur where he has been instrumental in innovating in IT. Right from building applications in Fortran, to implementing ERP and then to IT outsourcing, Anil has been a thought leader and pioneer in every field of IT. He has been credited with extremely successful deployments of ERP, SCM and CRM solutions. Anil is also an active speaker at industry forums and a well known thought leader in IT strategy and IT architecture specially for Consumer Goods and Retail Industry. Anil holds a Master’s degree in Applied Maths from IIT Roorkee and a Masters in Computer Science from BITS Pilani.